Product categories of 120hp Wheeled Tractor, we are specialized manufacturers from China, 120Hp Wheeled Tractor, 120Hp Compact Wheeled Tractor suppliers/factory, wholesale high-quality products of Four Wheel Drive Tractor R & D and manufacturing, we have the perfect after-sales service and technical support. Look forward to your cooperation! 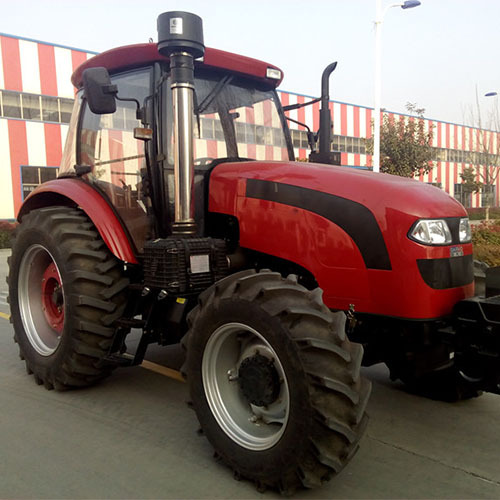 Tractor is developed on the basis of the Italian Wheeled Tractor chassis technology, adopting the British technology-based 6-cylinder turbocharged engine. The machine body has a streamline configuration. It is low in specific fuel consumption and better in power economic efficiency. It has multiple gears and a wide speed range. Besides, it is flexible in steering and easy to operate.